Advantages: Plenty of new material that hasn’t been published before; plethora of drawings, artist’s impressions and photos. Conclusion: A comprehensive publication that continues the series of studies into the unusual concepts pondered by the US Air Force. 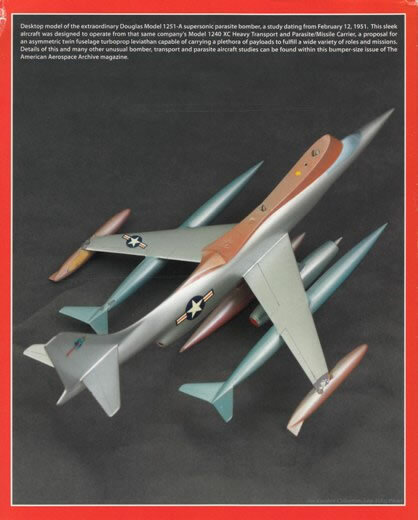 One of the themes visited in Volume 3 of this series was the early post-war development of the strategic bomber. It gets another look-in here with the release of number 5 in the collection and we also see the introduction of two new topics. 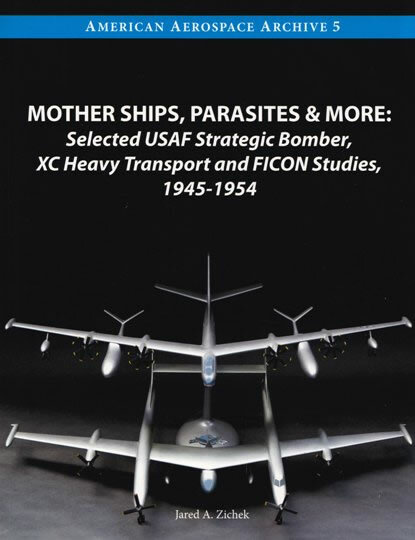 These are the USAF XC Heavy Transport and Parasite/Missile Carriers as well as a selection of Fighter Conveyor (FICON) studies from the early 1950s. 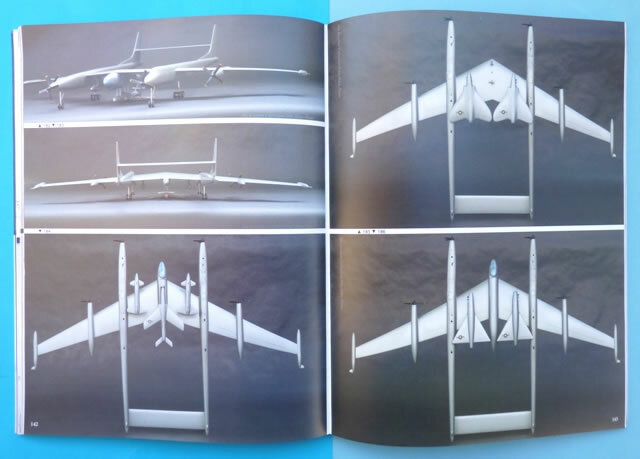 The concept of parasite aircraft intrigued the Air Force at the time and this theme is seen throughout the book. It was eventually made obsolete however with the advancement of in-flight refuelling and other such things. This is all contained in over 200 pages that reside between the A4 sized soft card covers. Inside there are a multitude of previously unpublished investigations into bomber, transport and parasite aircraft. Also featured are 258 drawings, artist impressions and photos, the latter including 27 that are in colour. This publication is printed on the same quality semi-gloss paper as previous editions. It’s also available as a PDF digital edition. 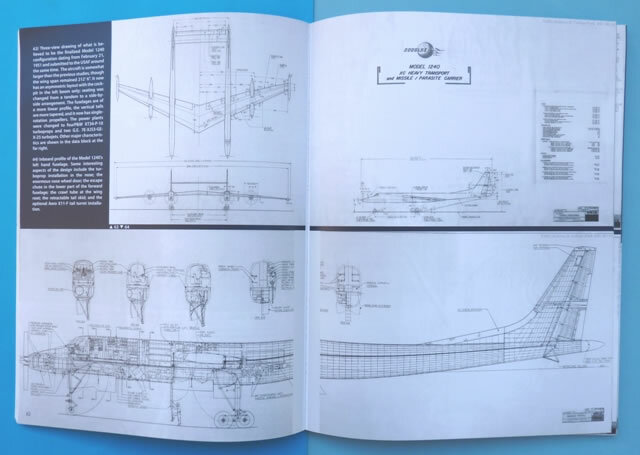 This features a special 23 page section that reproduces many of the drawings in the main body of the book in an uninterrupted landscape format. The electronic version retails at US $16.95 compared to the printed publication at US $49.95. 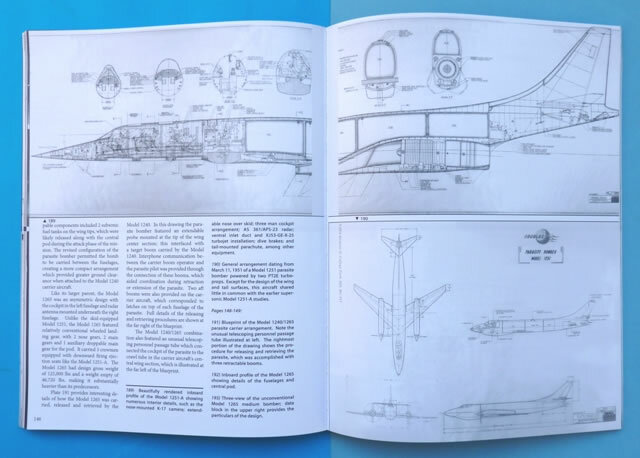 If you are interested in these unusual concepts that were being contemplated by the US Air Force, then this book will make a valuable addition to your library.